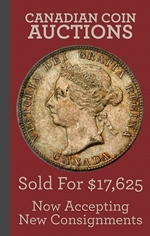 My name is Manning Garrett and I am a full time professional numismatist. My specialties are American and Canadian bank notes. What started as a hobby has grown into a passion and occupation. There is no question that I have the collecting bug. Over the course of my career I have been lucky enough to handle some of the rarest Canadian notes known to exist. 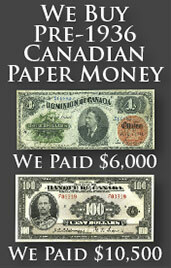 That list includes unique chartered notes, high denomination Dominion of Canada notes, and all of the collectible Bank of Canada and Banque Du Canada notes. I have set industry records for prices paid for many bank notes. Please let me know if I can help you. I happily provide free appraisals and I am always looking to buy Canadian currency. You always get paid first before you have to ship anything to me. I look forward to working with you whether you are selling a single note or an entire collection.